Pack the essentials. 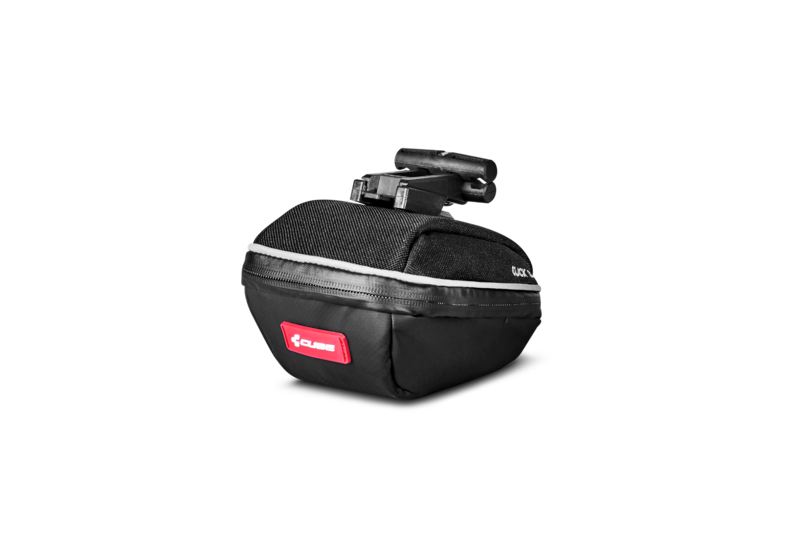 The CUBE CLICK XS saddle bag keeps your important bits and pieces safely beneath your saddle, out of the way. The compact design, water-resistant zip and rear light holder are typically CUBE finishing touches.